Montserrat is breathing a sigh of relief that the island did not get the brunt of Hurricane Irma’s wrath. 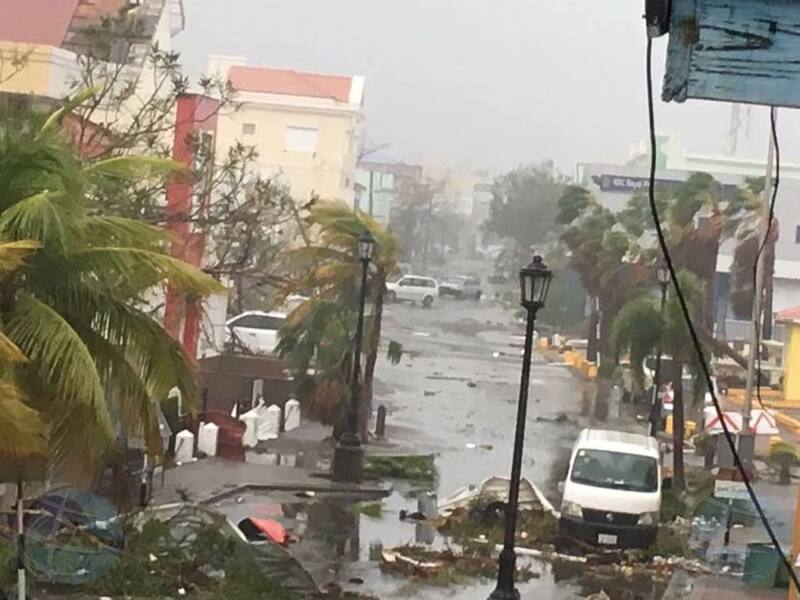 The hurricane wreaked havoc over Barbuda and is now doing the same for St. Maarten/St. Martin. Images from the French side of the island, show significant damage of major buildings. There is flooding in the French Quarter and a housing project received major damage. 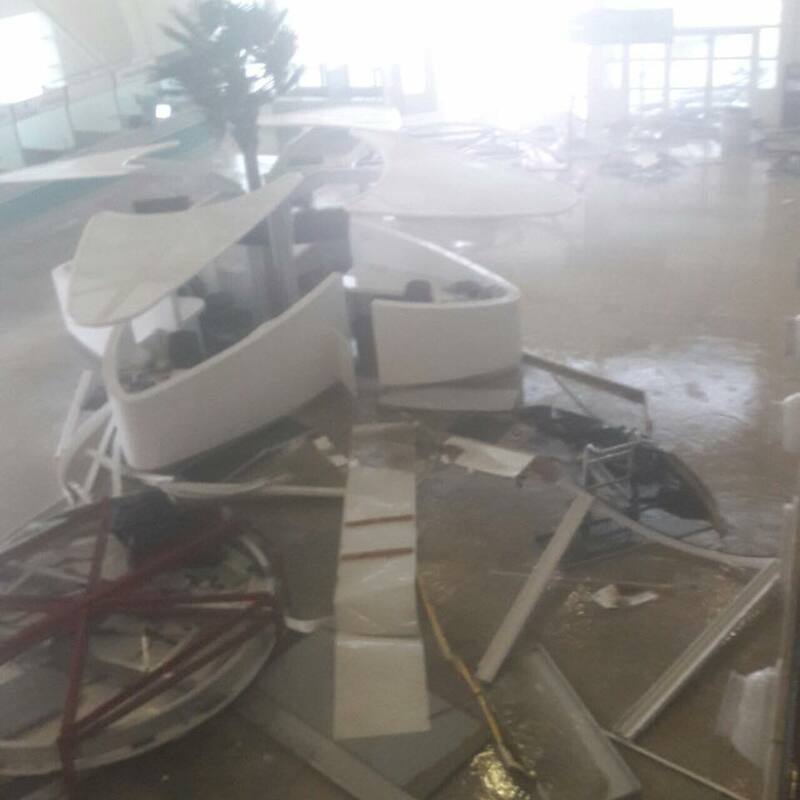 The police station on Barbuda lost its roof and the police had to take refuge in the fire station, ABS News reported shortly after 2AM on Wednesday. 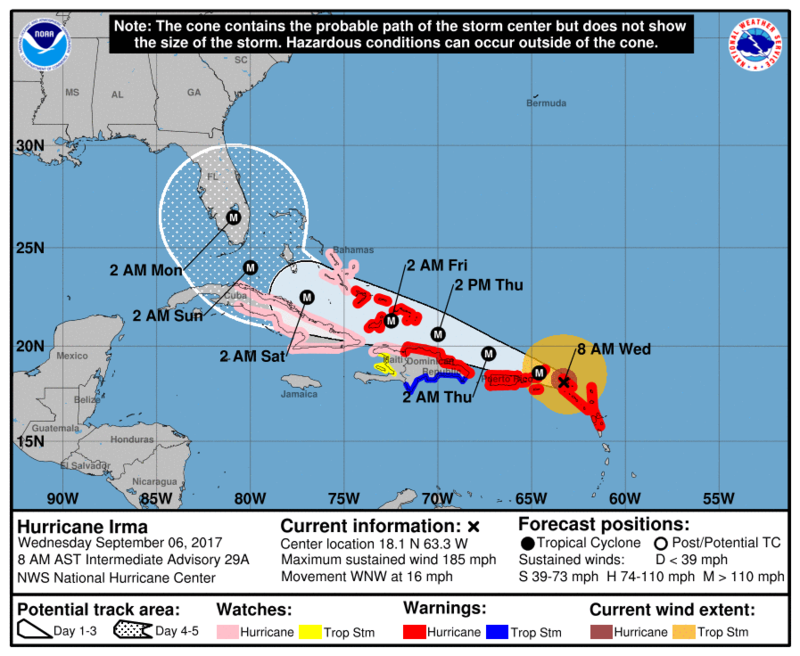 According to the 8AM report, Irma is centered about 15 miles west of St. Martin, moving toward the west-northwest near 16 mph (26 km/h). This general motion is expected to continue for the next couple of days. On the forecast track, the extremely dangerous core of Irma will move over portions of the northern Virgin Islands today, pass near or just northÂ of Puerto Rico this afternoon or tonight, and pass near or just north of the coast of the Dominican Republic Thursday. reported a minimum pressure of 916.1 mb (27.05 inches) earlier this morning. A Hurricane Warning is in effe ct for Antigua, Barbuda, Anguilla, Montserrat, St. Kitts, Nevis, Saba, St. Eustatius, Sint Maarten, Saint Martin, Saint Barthelemy, British Virgin Islands, U.S. Virgin Islands, Puerto Rico, Vieques, and Culebra, Dominican Republic from Cabo Engano to the northern border with Haiti, Guadeloupe, the Southeastern Bahamas and the Turks and Caicos Islands. A Hurricane Watch is in effect for Haiti from the northern border with the Dominican Republic to Le Mole St. Nicholas, Turks and Caicos Islands, Southeastern Bahamas Cuba from Matanzas province eastward to Guantanamo province and the Central Bahamas. A Tropical Storm Warning is in effect for Dominican Republic from south of Cabo Engano westward to the southern border with Haiti. Users are reminded to not focus on the exact forecast track, especially at the longer ranges, since the average NHC track errors are about 175 and 225 statute miles at days 4 and 5, respectively.